.With fellow physicist Roger Penrose, Hawking merged Einstein's theory of relativity with quantum theory to suggest that space and time would begin with the Big Bang and end in black holes. Hawking also discovered that black holes are not completely black but emit radiation and will likely eventually evaporate and disappear. 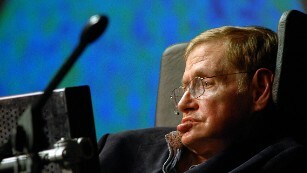 Hawking suffered from ALS (amyotrophic lateral sclerosis), a neurodegenerative disease commonly known as Lou Gehrig's Disease, which is usually fatal within a few years. He was diagnosed in 1963, when he was 21, and doctors initially only gave him a few years to live. Cosmologist Stephen Hawking on October 10, 1979 in Princeton, New Jersey. Hawking was married twice. He and his first wife, Jane Wilde, wed when he was still a grad student and remained together for 30 years before divorcing in 1995. Hawking was later married for 11 years to Elaine Mason, one of his former nurses. Hawking was born in Oxford, England, on what turned out to be an auspicious date: January 8, 1942 -- the 300th anniversary of the death of astronomer and physicist Galileo Galilei. At Cambridge, he held the position of Lucasian Professor of Mathematics -- the prestigious post held from 1669 to 1702 by Sir Isaac Newton, widely considered one of the greatest scientists in modern history. Yet Hawking once said if he had the chance to meet Newton or Marilyn Monroe, he would opt for the movie star. 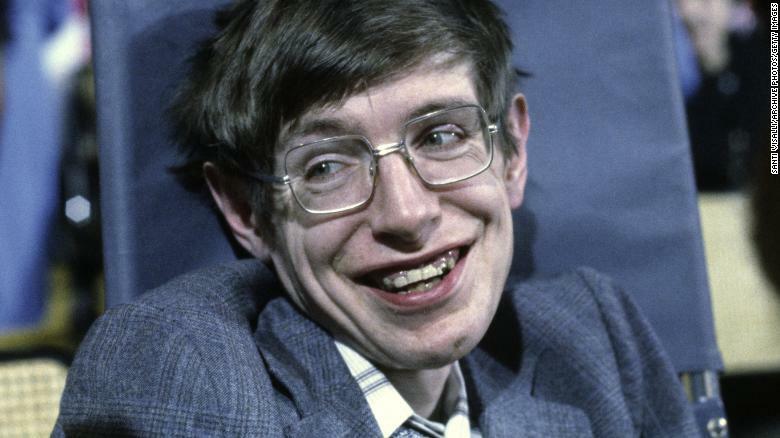 Hawking became a hero to math and science geeks and pop culture figure, guest-starring as himself on "Star Trek: The Next Generation" and "The Simpsons." His life was dramatized in the 2014 movie, "The Theory of Everything." 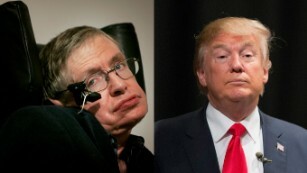 In September 2016 Hawking joined 375 "concerned" scientists in penning an open letter criticizing then-presidential candidate Donald Trump, citing the threat of climate change and blasting his push for the US to leave the Paris Accord. "His passing has left an intellectual vacuum in his wake," tweeted Neil deGrasse Tyson. "But it's not empty. Think of it as a kind of vacuum energy permeating the fabric of spacetime that defies measure."